Russia vows to retaliate against US Magnitsky bill | Russian Legal Information Agency (RAPSI). MOSCOW, December 9 - RAPSI. Russia will take retaliatory measures in response to the US legislature's decision to adopt new laws imposing sanctions against certain Russian individuals believed to have been connected with the death of Russian lawyer Sergei Magnitsky, a Russian presidential aide said on Sunday. “The Magnitsky Act is an extremely unfriendly move. 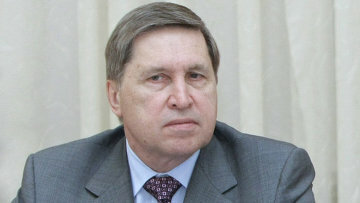 The most unpleasant thing is that we are forced to take retaliatory measures and we’ll certainly respond to this,” Yury Ushakov said. The US Senate repealed on Thursday the Cold War-era Jackson-Vanik restrictions on trade with Russia and simultaneously passed the Magnitsky Act, which targets Russian officials deemed by Washington to have violated human rights. A group of influential U.S. senators, including former Republican presidential candidate John McCain, proposed in spring introducing a blacklist of Russian officials allegedly linked to the Hermitage Capital lawyer, Magnitsky’s death in a Moscow pre-trial detention center in November 2009, in exchange for the cancellation of the Jackson-Vanik amendment. Magnitsky was arrested on tax evasion charges in November 2008, just days after accusing police investigators in a $230 million tax refund fraud, and died after almost a year in the Matrosskaya Tishina pre-trial detention center in Moscow. Russia announced on Friday it was suspending from December 7 beef and pork imports from US producers that used ractopamine as the feed additive. Russian Foreign Minister Sergei Lavrov said on Friday Russia will respond to the Magnitsky Act, approved by US legislators, by banning entry to Americans violating human rights. 18:08 09/12/2012 Russia will take retaliatory measures in response to the US legislature's decision to adopt new laws imposing sanctions against certain Russian individuals believed to have been connected with the death of Russian lawyer Sergei Magnitsky, a Russian presidential aide said on Sunday.